I don’t think it’s any surprise that I’m a big proponent of video marketing. I talk about it on my blog often and my company LooseKeys helps businesses reach larger audiences by working with them to tell their stories. 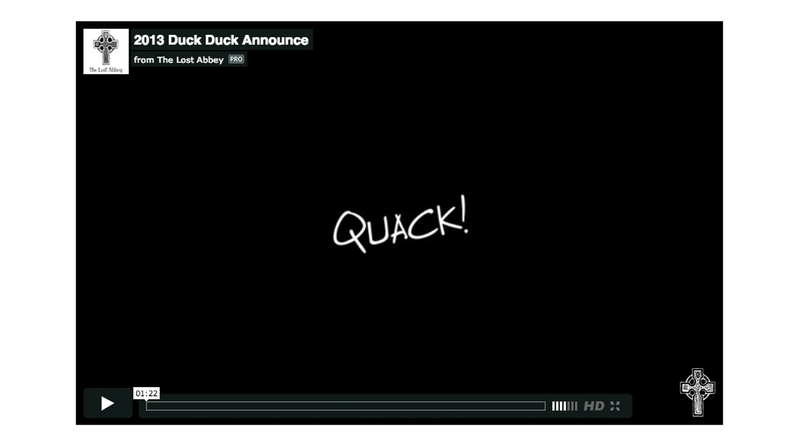 Being a craft beer fan, I love it when a brewery releases a new video either about a new beer release, a special event or simply an interview. These videos range in quality but that doesn’t typically stop me from watching them. I love learning about what these breweries are up to and I know others do too because most of these have hundreds of views on YouTube. The two breweries I see more often than any others release videos are Goose Island and Stone Brewing. These two breweries put out a video for many of the events they do and for every beer they release. These guys are making killer videos. Both of the breweries have great in-house teams working for them, which is the reason they are able to do these sort of projects. I’m sure these breweries have widely different marketing budgets but that doesn’t stop either from taking the time to make great creative content. Both breweries have put out some notable recent videos. 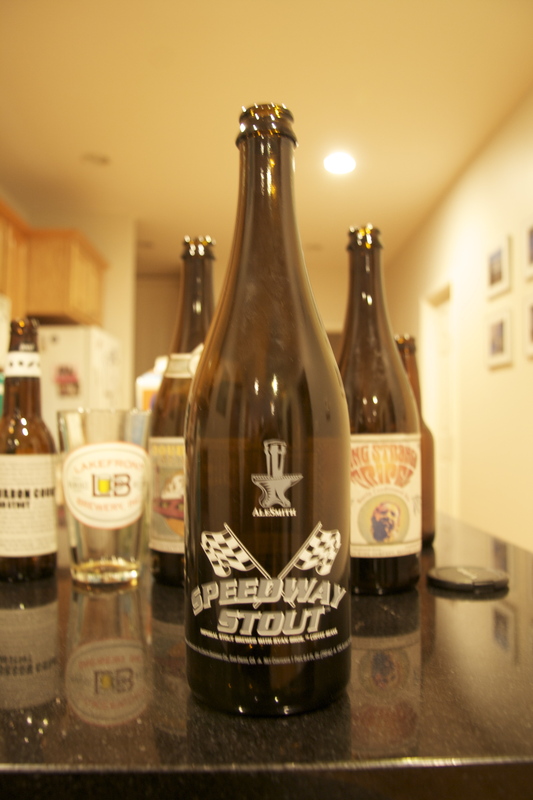 Stone’s video about the Stone Farking Wheaton w00tstout collaboration beer was very well done and I’m sure helped build the buzz even more about that beer. Goose Island put out several videos last week showcasing their involvement as beer sponsors at this years Pitchfork Music Festival. The video showing the Goose Island collaboration with Killer Mike and EL-P for their beer Run the Jewels was pretty funny too. 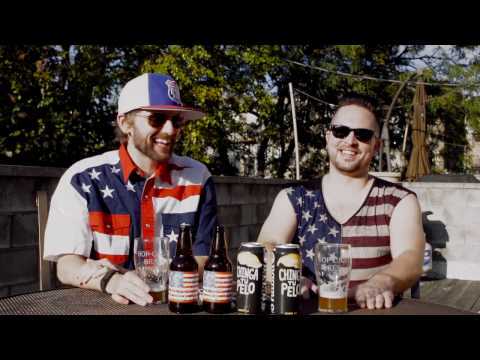 These breweries are smart to put out these kinds of videos often because not only will it help to promote them and their beers but the videos also help people to connect to these breweries. 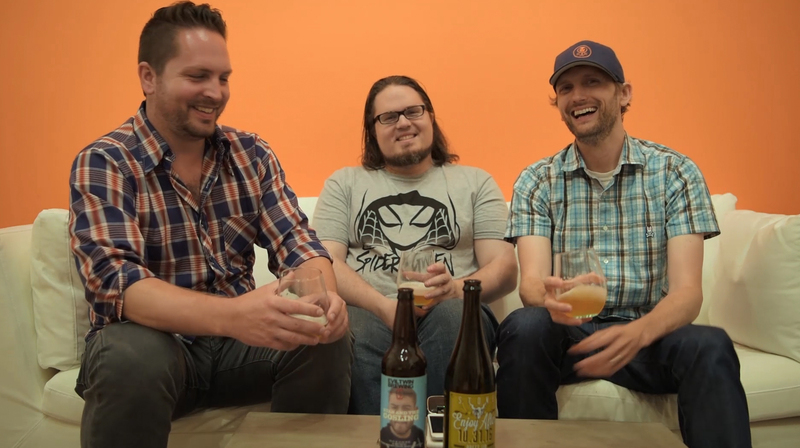 When you impart humor in a video, have a brewer talk about a new beer release or show some of what went into the making of a beer, it personalizes the brewery for the person buying their beer. Each one of these videos also has the opportunity to be seen by new customers as well. After I watch a great video about a beer I’m looking forward to tasting, I’ll hit that share button and let everyone else on Facebook or Twitter know about it. That’s getting the brand and the beer in front of more people. Videos shared by friends have even more power than the big commercials you might see during the Super Bowl. Smaller breweries don’t have to have a big marketing budget or in house teams to keep people informed about what’s happening. 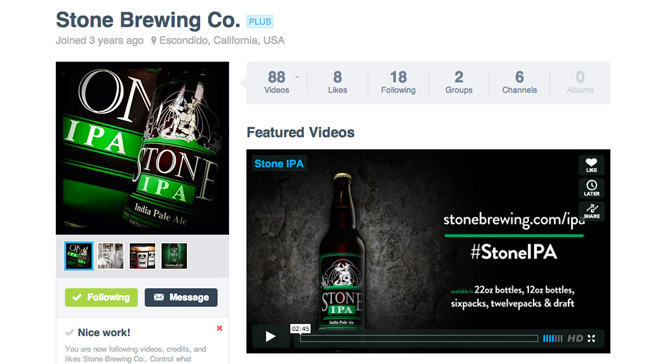 Creating more online content that promote new beers or brewery events should be on every breweries to do list. Scott Pellman joins Brad Chmielewski and Ken Hunnemeder for episode 53 of the Hop Cast. 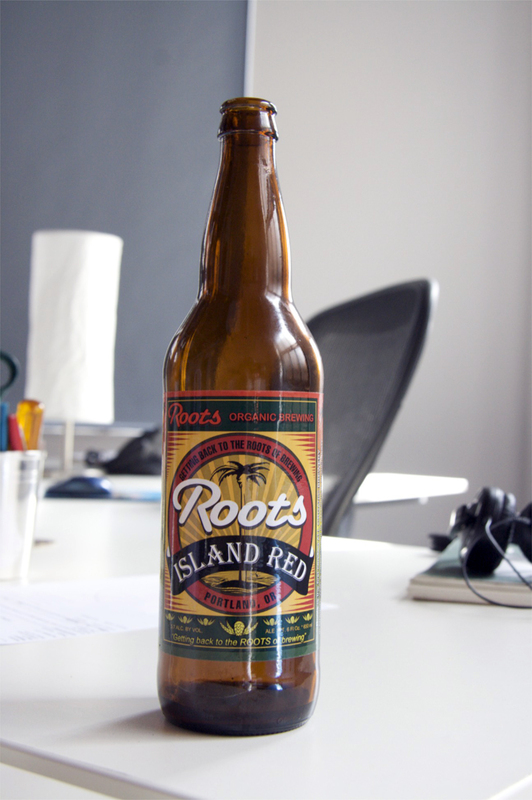 The first beer that the three of them review and sample is the Island Red from Roots Organic Brewery in Portland, OR. 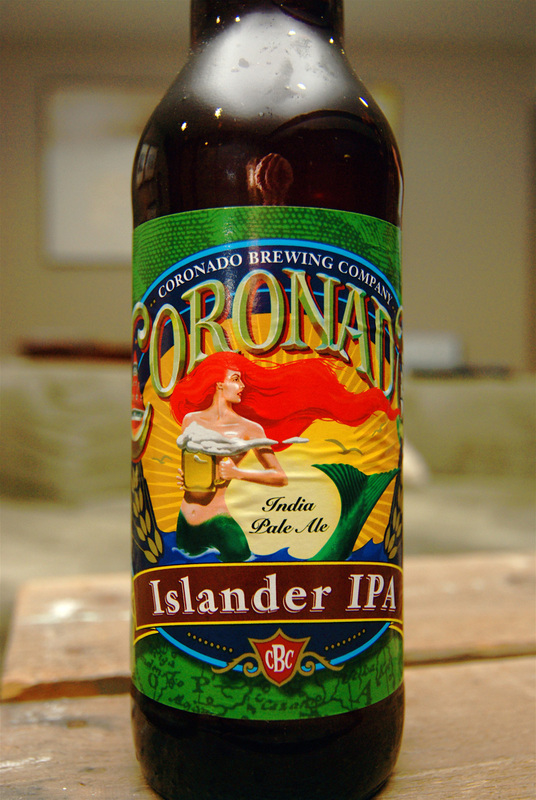 The Island Red is an organic beer and something fans of Fat Tire should be able to enjoy. 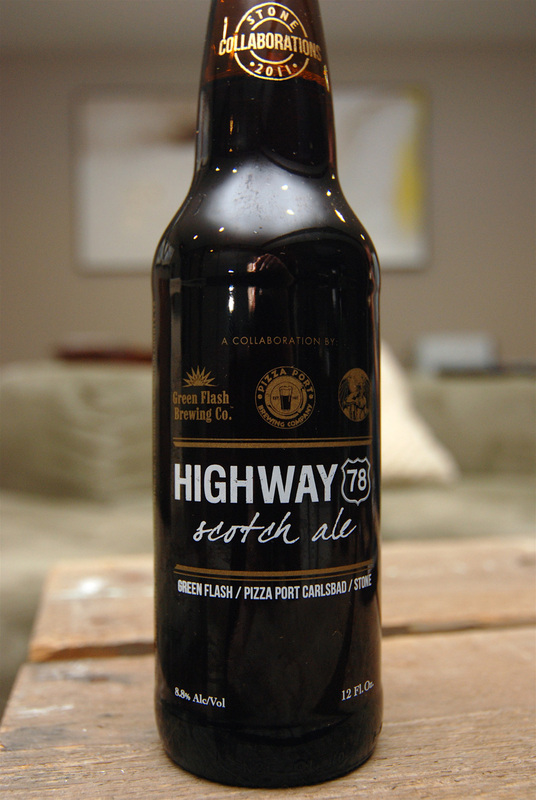 Brad and Ken haven’t had the best luck with organic beers but this one is a decent one. They follow up the Island Red with the Stone 13th Anniversary Ale from one of their favorite breweries out in California, Stone Brewing. 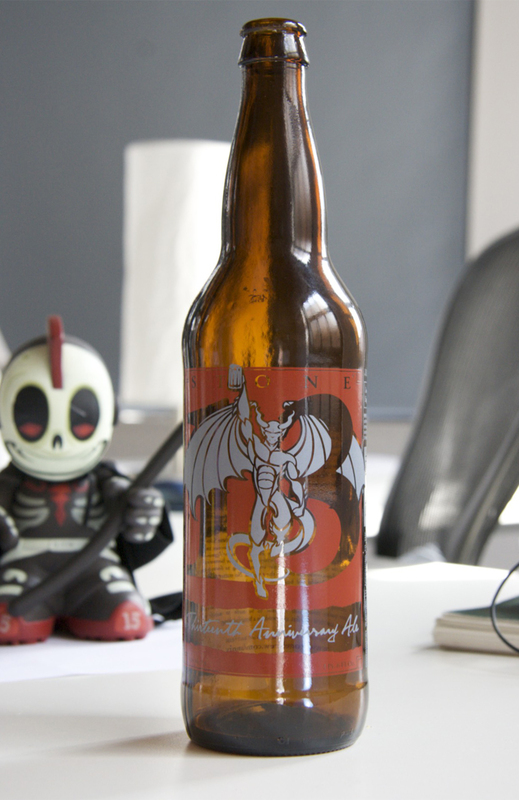 The Stone 13th Anniversary Ale was released on June 29th, 2009 and was only bottled once. 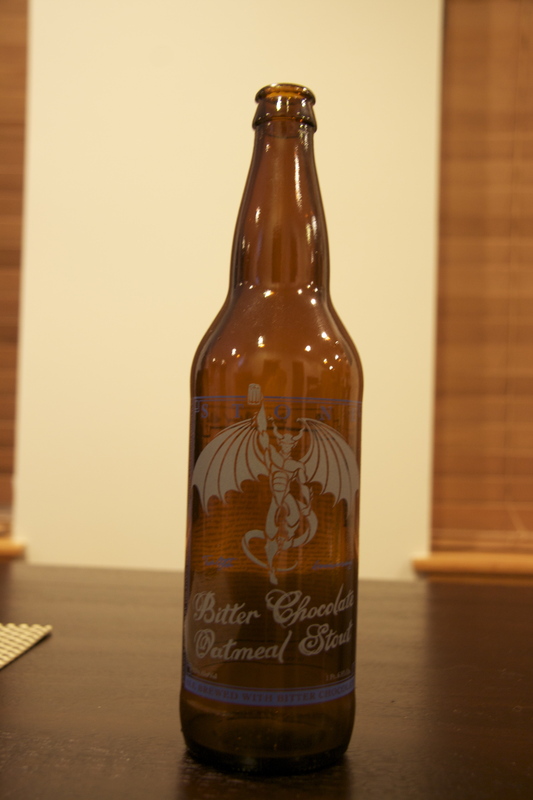 It has an abv of 9.5%. So grab one of your favorite beers, organic or not and sit back and watch. Thanks for watching the Hop Cast! Download the Podcast (272.0 MB). In the middle of brewing the Blood Orange hefeweizen Brad Chmielewski and Ken Hunnemeder figured they would shoot a couple specials while they waited. 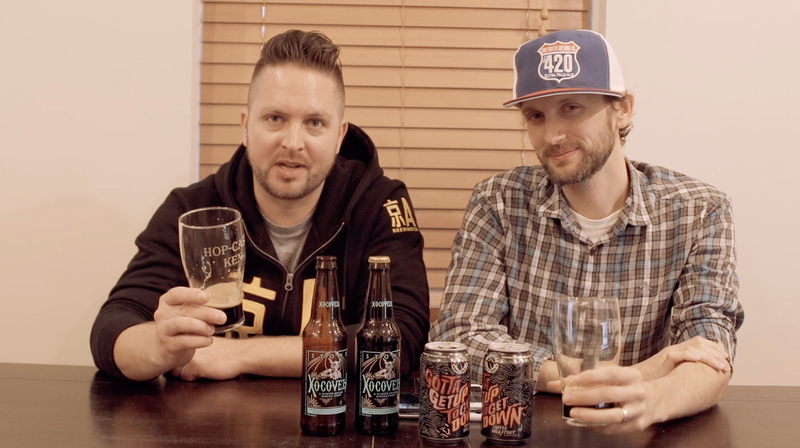 In this Hop Cast special Brad and Ken enjoy a bottle of Stone Brewing’s Cali-Belgique. Download the Podcast (44.3 MB).